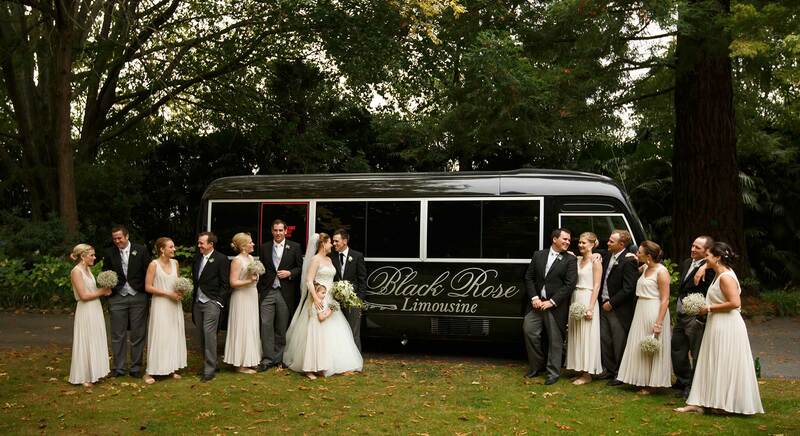 Here at Black Rose we just love weddings and we’re committed to making your happy occasion wonderfully memorable. Perhaps you’d like to arrive in Prime Ministerial splendour with one (or two) of our magnificent silver BMW 7 Series long wheelbase sedans providing a super-spacious and luxurious European feel, or maybe the classical elegance of the obsidian black Chrysler 300 Town Car with its plush slate-grey leather and American performance pedigree. 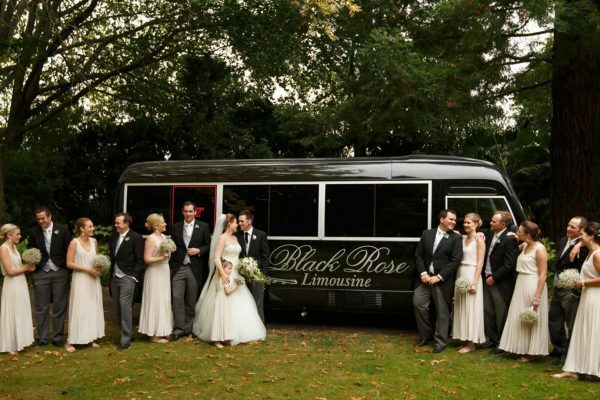 And then there’s the Black Rose Limousine itself. A jet-black customised mini-coach with a stunning bespoke interior world of ostrich leather couches, surround sound and exclusive privacy. Travel with your whole wedding party to photo locations or the reception and toast your special day with a glass of Champagne from the onboard fridge. We can even transport all your guests as well in the comfort of large touring coaches. 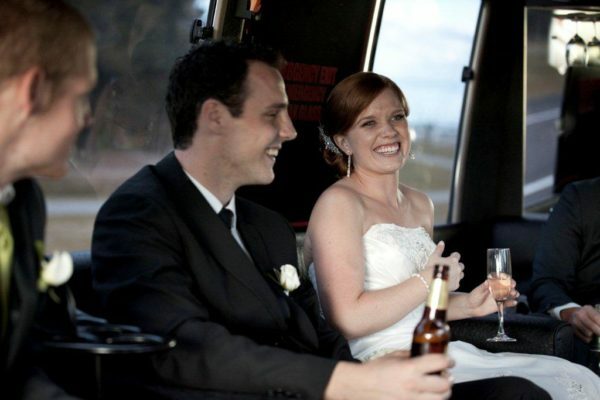 Visiting Hawke’s Bay for your wedding? As well as transporting you through your special day, we can arrange a huge variety of opportunities for you, family and friends to experience other aspects of Hawke’s Bay. Check out our extensive range of Private Tours or Bespoke Tour service. 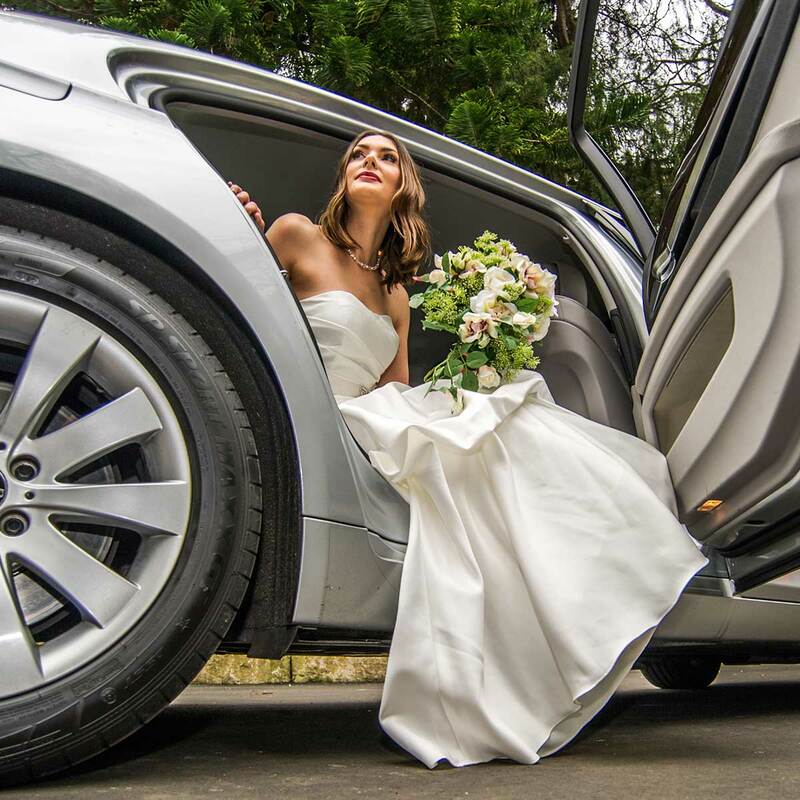 Whatever you imagine for the special day, we will deliver seamless and stylish transport solutions and Hawke’s Bay experiences designed to enhance this special time with loved ones and allow all participants to sit back, relax in luxurious comfort and fully enjoy the moment.